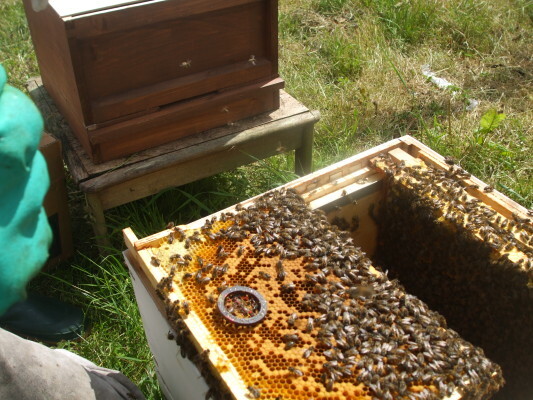 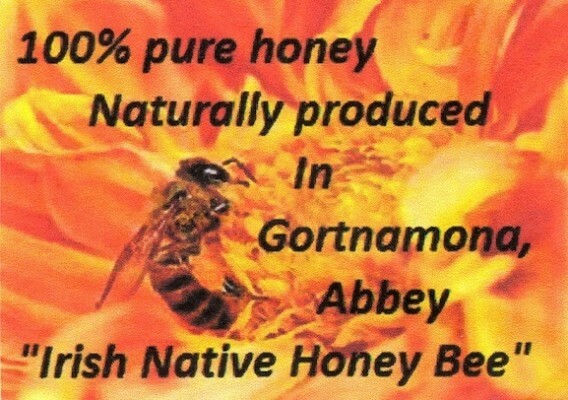 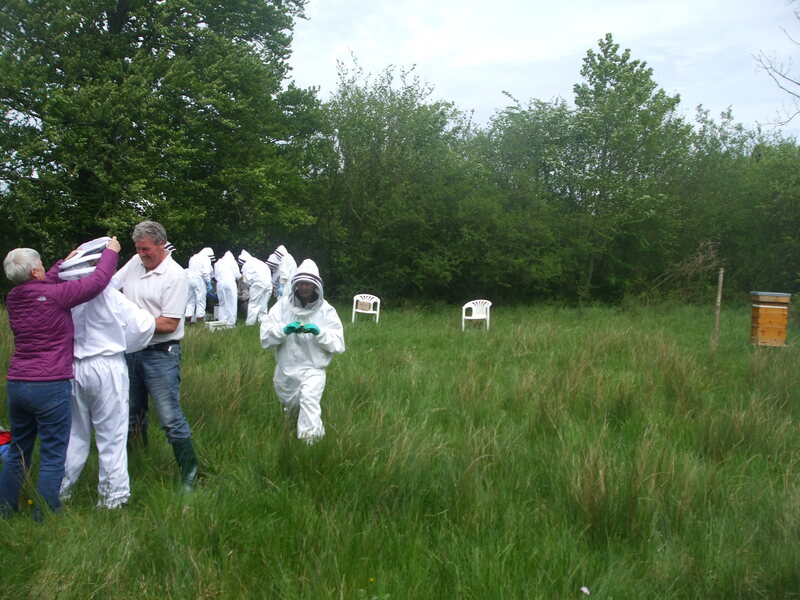 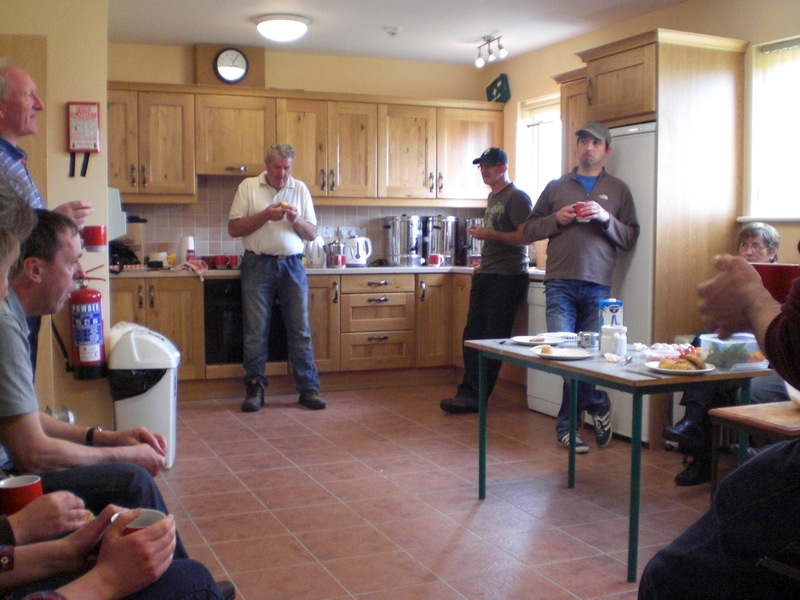 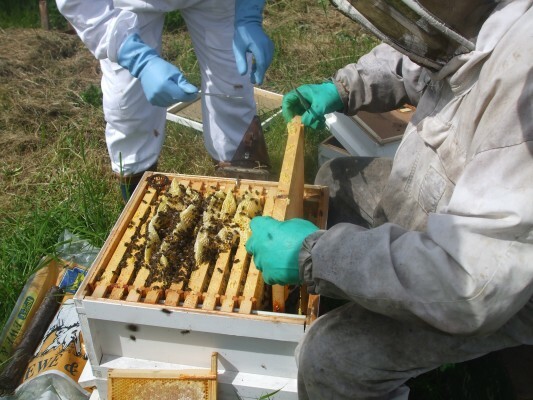 Abbey Apiary, located on the farm of Brian and Ann Murphy, at Abbey, Loughrea, played host to up to twenty members of the recently formed Tribes Beekeepers Association on Saturday 17th May 2014. 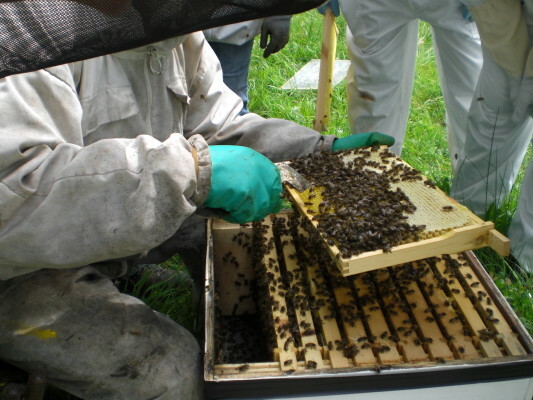 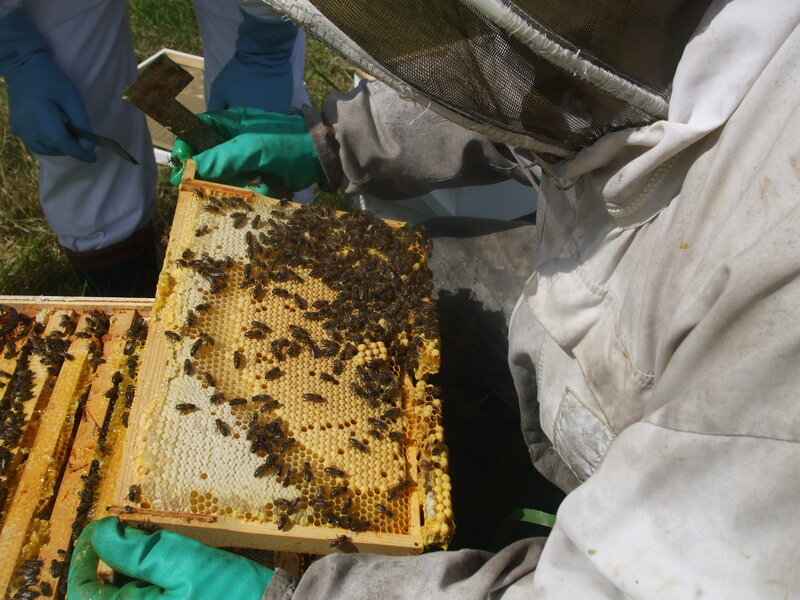 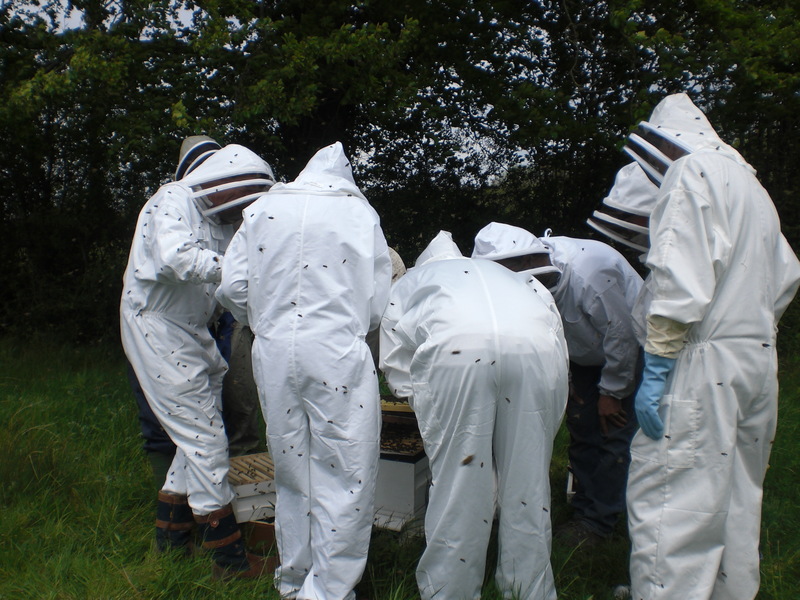 In idyllic conditions, the group participated in a practical training session under the expert guidance of the experienced beekeeper and mentor, Marty O’Malley. 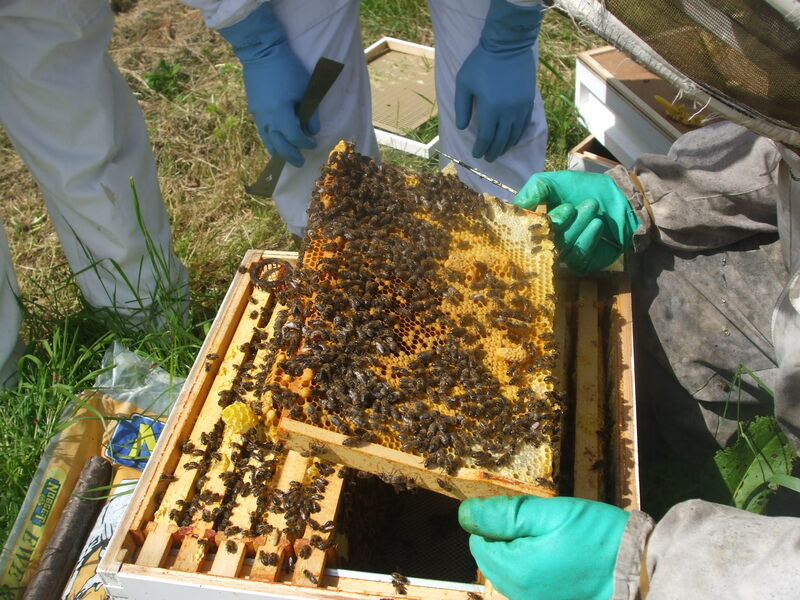 The purpose of the day was to clip the queen bees and where necessary, divide the hives. There was huge interest in the activity as it involved witnessing at first hand much of the theory that had already been studied in the classroom setting and discovering so much more than a lecture session could provide. 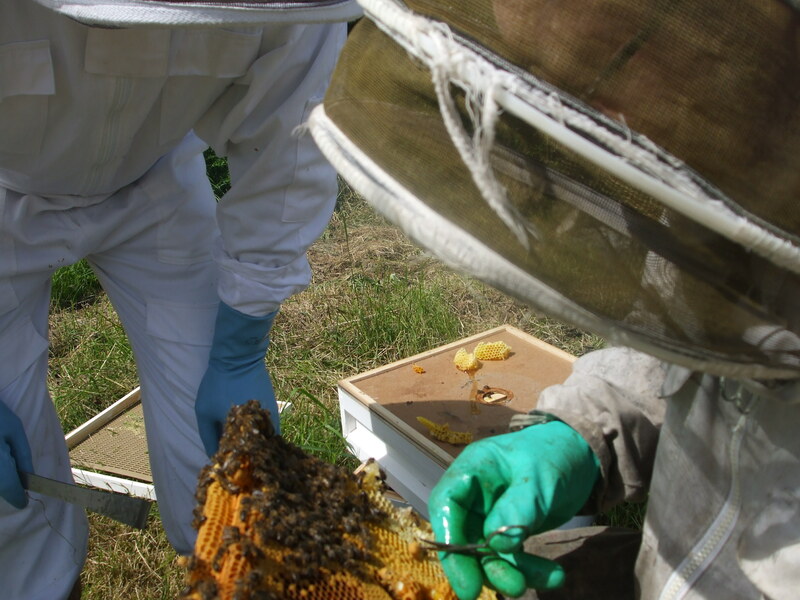 When the hives were opened it was interesting to see how the queen was located and to witness the hatching of new bee life. 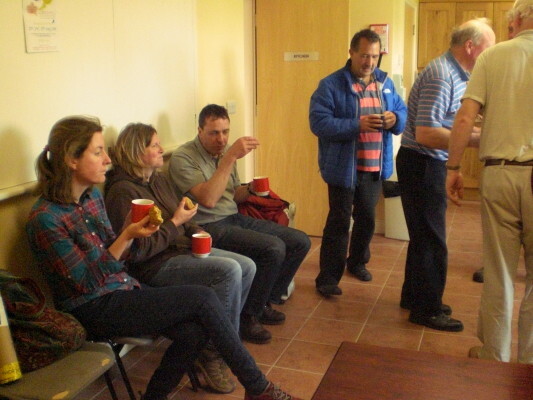 All of the participants were highly impressed with the visit and the opportunity it afforded to share and discuss individual ideas. 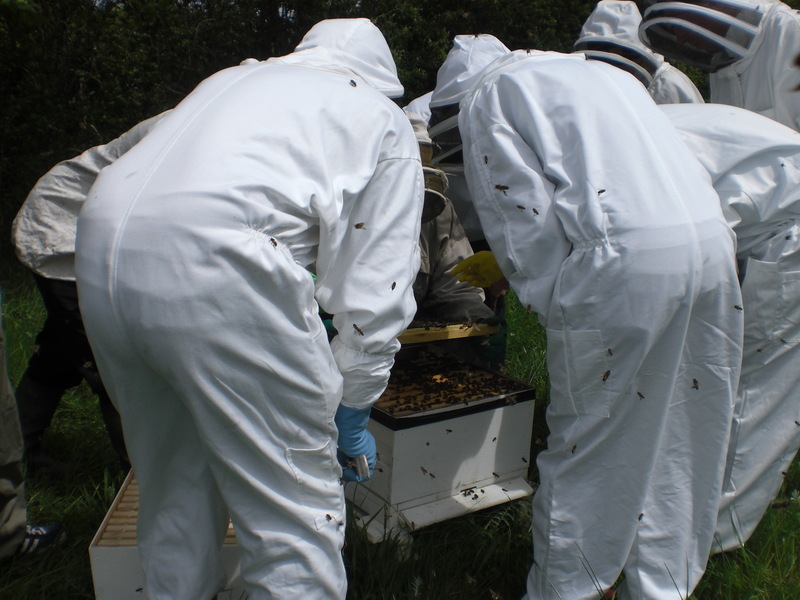 The enthusiasm was striking and it was evident that those involved achieve much pleasure from their bee-keeping activity. Queen Bee can be difficult to find! 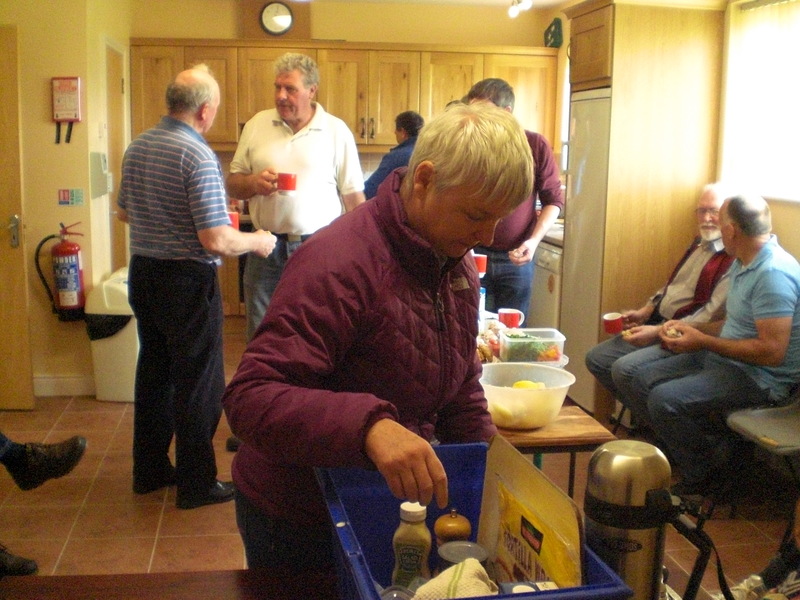 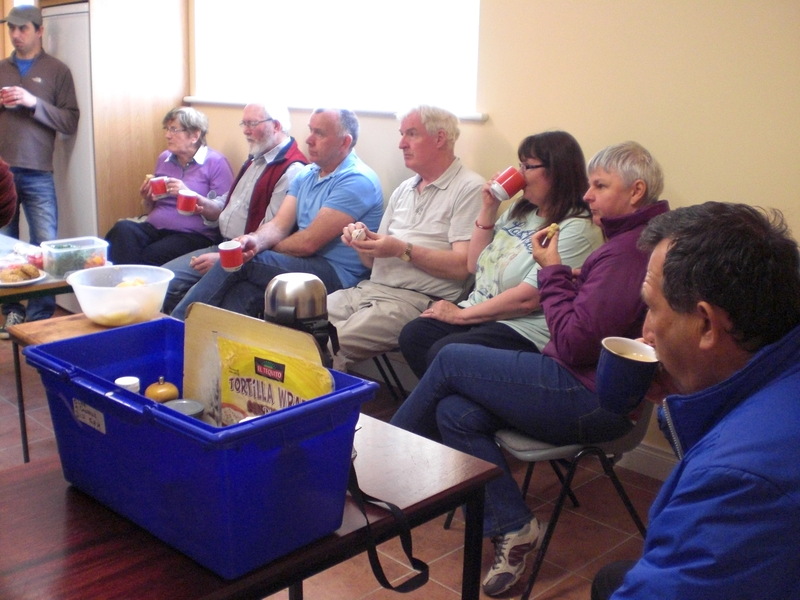 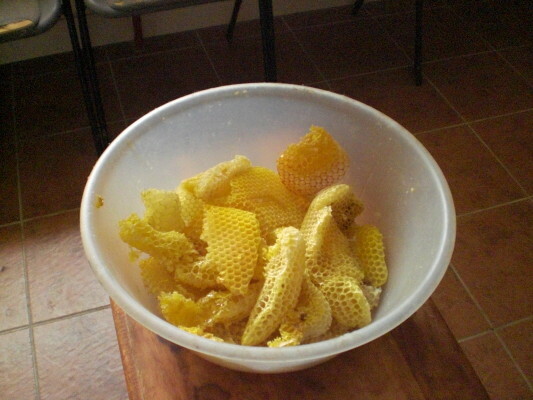 It was also most interesting to see the bowl of honey that was gathered at the end of the session and this was shared out when the group met in Abbey Community Centre to avail of much needed refreshments following their several hours working with the bees. 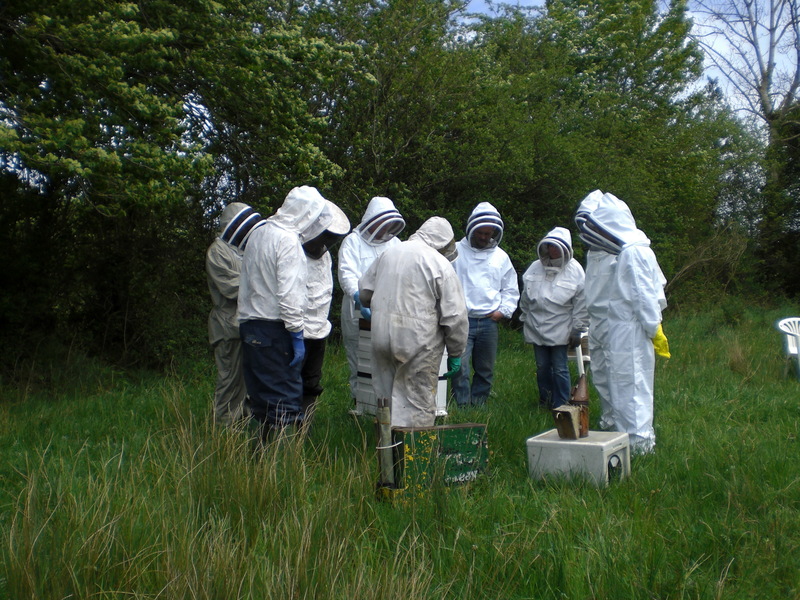 The Tribes Beekeepers have ambitious plans for the future and we can only wish this young organisation much success in the years ahead. This page was added on 18/10/2014.